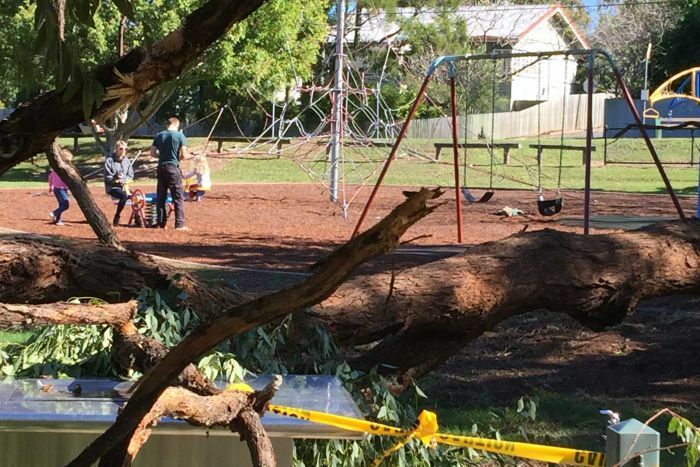 South-east Queensland has been lashed with gale-force winds overnight, cutting power to tens of thousands of properties, as temperatures plummeted across the state. 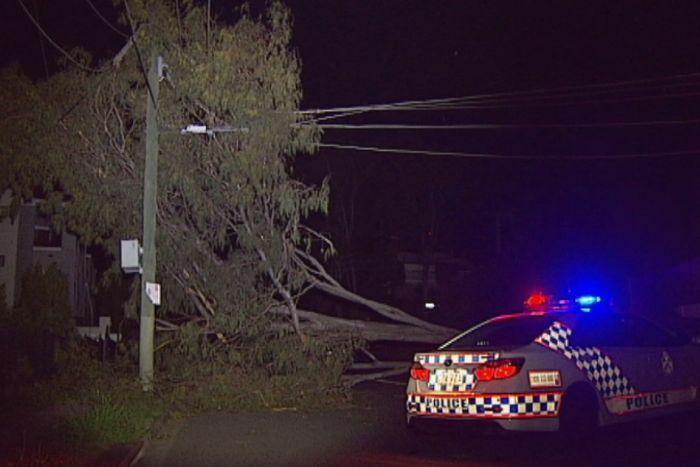 Winds up to 80 kilometres per hour brought down powerlines and trees across roads, with one tree falling on a home in Upper Kedron, in Brisbane’s north-west. Part of the roof of Brisbane’s Fortitude Valley fire station was also ripped off in the winds. 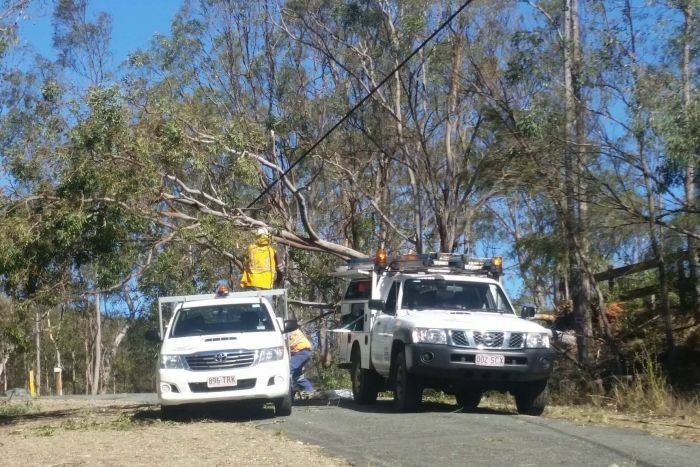 Energex said 38,000 homes lost power, with 4,000 still waiting to be connected on Saturday morning, the majority being in the Moreton Bay and Sunshine Coast regions, north of Brisbane. 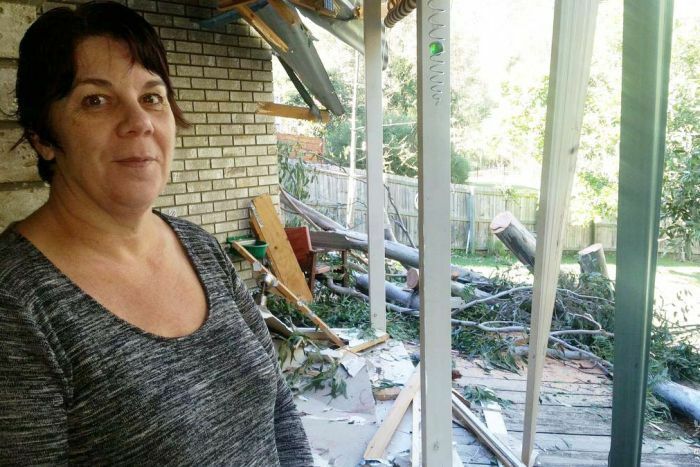 Karyn Steele’s Upper Kedron home was damaged when a 30-metre-plus gum tree came crashing down about 10:00pm. 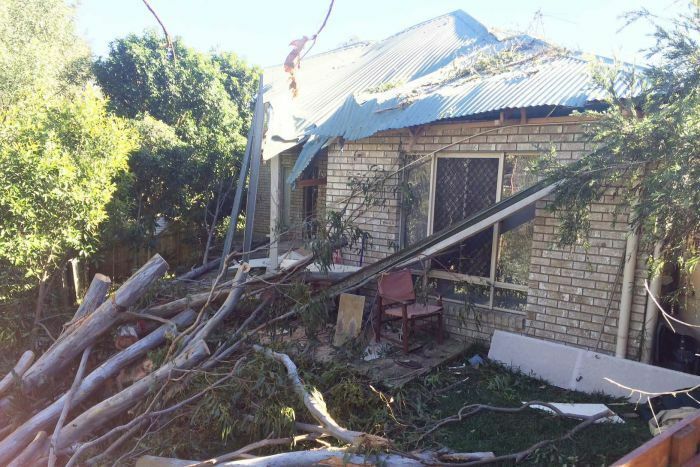 “We just had horrendous winds and then there was this bang on the house and a gumtree had come through the roof,” she said. 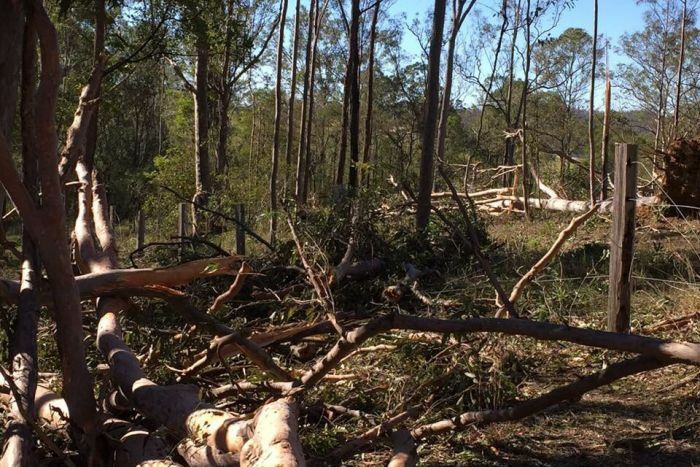 Overnight, the mercury dropped to below freezing west of Brisbane, the actual temperature at Toowoomba hit -4.7 degrees Celsius and -1.7C in Oakey. 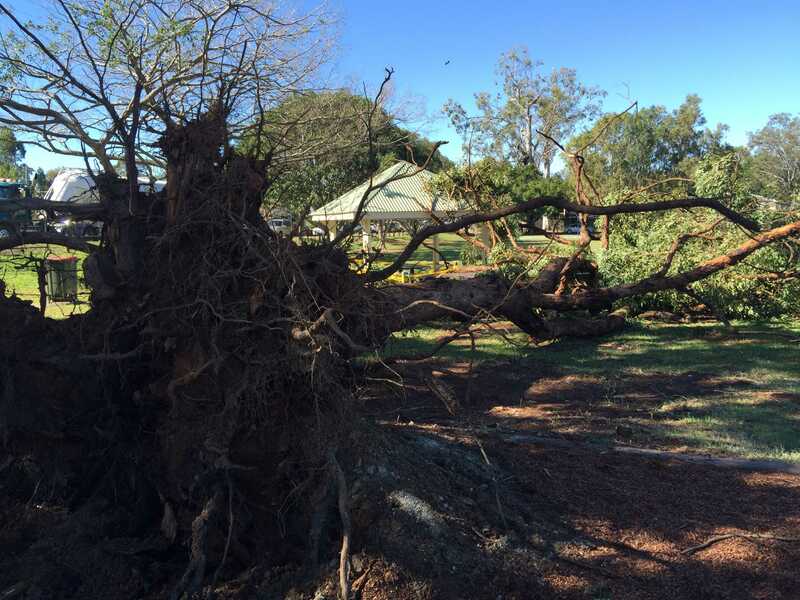 Conditions are expected to worsen in the coming days, Bureau of Meteorology senior forecaster Michelle Berry said. 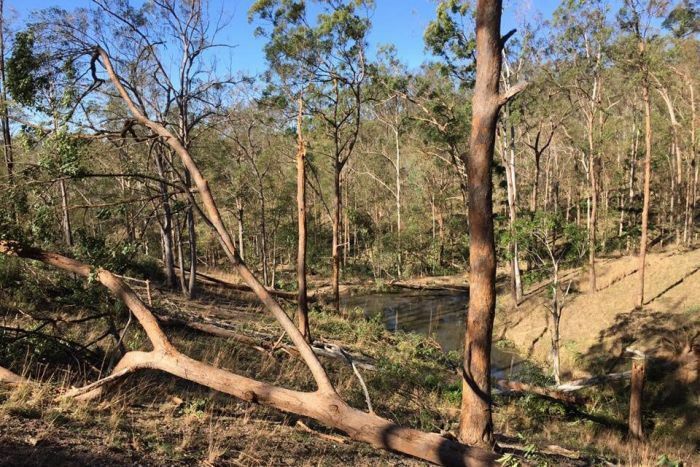 The maximum forecast temperature for southern Queensland is due to be below average for five or six days. The southern interior will be hit particularly hard, reaching 5 to 8C below average. 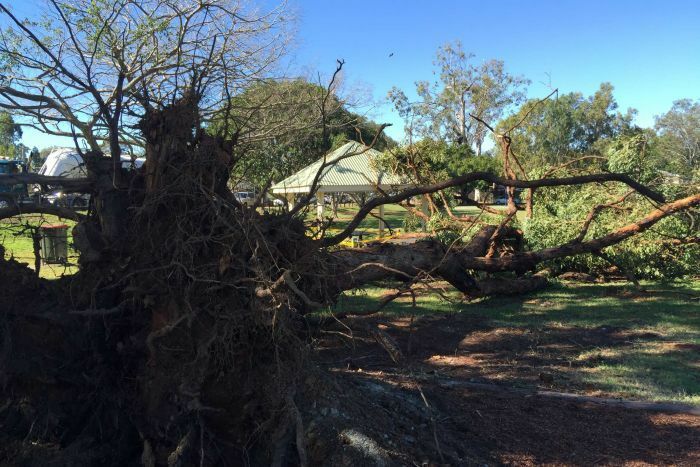 Ms Berry said last night’s chilly conditions were due to a vigorous cold trough moving off southern Queensland late Friday, leaving in its wake a colder south-westerly air flow. Another trough will bring patchy rain as it enters the south-west late tonight and extends eastwards until it heads off the coast on Monday evening. “The cloud cover coming through with that will lead to some cold days,” Ms Berry said. “It doesn’t allow the heating to occur. “Another burst of cold south-easterly wind will come through.